GDC Online organizers have confirmed industry veteran and Zynga chief game designer Brian Reynolds to discuss smash hit title FrontierVille and the future of social game design in a keynote at October's show in Austin. In his keynote address, 'Bears and Snakes! The Wild Frontier of Social Game Design,' Reynolds will explain how his Facebook title FrontierVille "treads new territory" by combining the classic techniques of traditional game design with the social gaming expertise that Zynga has gained from their FarmVille and Mafia Wars titles. 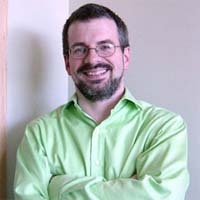 Reynolds, whose career has spanned more than 20 years with companies such as Firaxis and Big Huge Games, and who has co-created titles including Civilization II, Alpha Centauri and Rise of Nations, will also confront the challenges of taking familiar social game models and making them more entertaining for gamers and non-gamers. With the massive gains and rapid progress of the social game space, Reynolds will offer his take on why games like FrontierVille -- which currently has 30 million monthly unique users on Facebook alone, according to Appdata.com -- are only the first step towards other exciting opportunities for the video game medium. "Social games are increasingly attracting traditional game developers, while also providing key learnings to leverage social features in all types of games," noted Izora de Lillard, Event Director, GDC Online. "We are proud to present Brian Reynolds at GDC Online with a talk that will inspire traditional and social game designers alike." Reynolds joins a host of other major speakers for the 2010 Game Developers Conference Online event, with design talks from Relic, Sony Online and Carbine, notable lectures from KingsIsle and IMVU, and in-depth lectures from Disney and Playdom already confirmed. The full session list for the October 6th-8th Main Conference includes over 50 talks from Sulake, BioWare Austin, Hangout Industries, Broken Bulb Studios, CCP, Gaia Online, InstantAction, Ubisoft and many more, with co-located Summits on October 5th and 6th including one and two-day events on game narrative, iPhone and iPad gaming and 3D stereoscopic gaming. GDC Online will take place October 5-8, 2010 at the Austin Convention Center in Austin, Texas. To learn more about lectures across all tracks for the event, for which reduced-rated registration is only open until September 1st, please visit the GDC Online's official website.